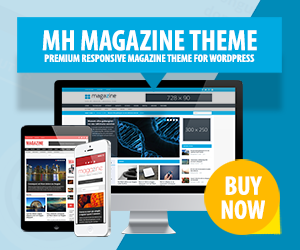 Are you looking for a cool and clean WordPress Theme for your Blog or Magazine? Then the Gonzo WordPress Theme could definitely be on your shortlist. As it organizes and presents your content in a logical, beautiful and accessible way, you can create a neat magazine or take your blog to the next level. With this great theme your content is presented on all kinds of desktop and mobile devices properly. Gonzo is built with semantic HTML5/CSS3 and completely responsive. No matter what the device is, every element of your website will look right and clear.